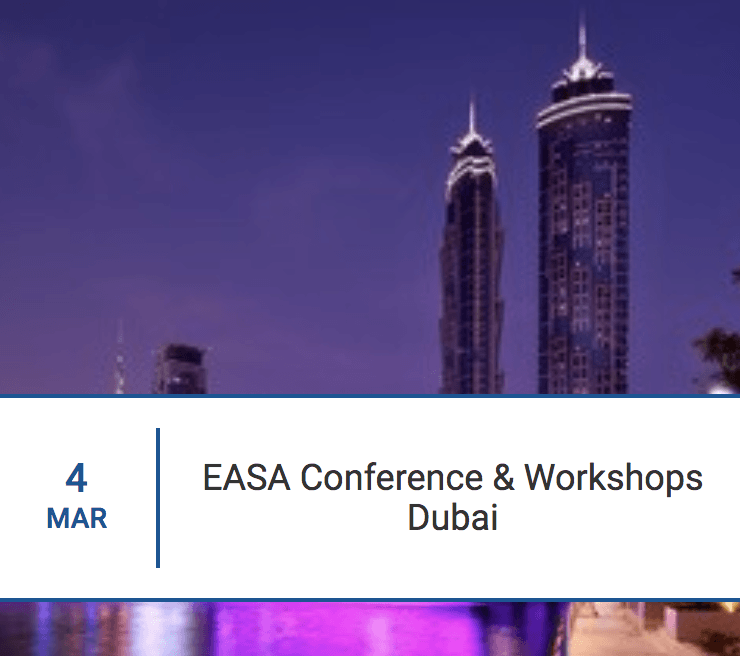 Join Spare Parts 3D at EASA Event DUBAI Conference and Workshops! “EASA, the largest professional association in the world dedicated to companies who are servicing Electric Motors/Rotating Machines Systems is organizing its next event in DUBAI on Monday March 4th just before the Middle East Electricity fair that will take place on March 5th until 7th. This is a unique opportunity to meet between all EASA Members and Non-EASA Members, share some good technical and business experiences, to discuss specific projects in your region, to better work with important stakeholders and authorities. This event is also the perfect platform to make great contacts before the Middle East Electricity fair. Participants needs to register fully and before February 15th to get free access to our event.